After some bumpy tourist seasons, Mexico seems to be finding a new place in the sun with the North American crowd, and a lot of others as well. I just returned to Puerto Vallarta from the West Coast of the U.S. on a flight that was oversold. Have not experienced that for some time. I also observed a lot of first time Mexico visitors… a trend that will be continuing. It just makes sense. There is so much to see and do in Mexico for almost anyone. The Pacific Coast of Mexico and especially the Puerto Vallarta area and the state of Jalisco, is a paradise waiting to be discovered. Or perhaps re-discovered. For those who like to explore a bit, grab a rental car, a good map or guide and plan on some day or overnight trips from your base camp. I suggest looking to the south of Vallarta. Maybe start with an easy twenty-minute drive to Boca de Tomatlan, a little protected cove of beach that serves as water taxi headquarters serving some vary interesting places along the extreme south of the Bay of Banderas. Car taxis also serve Boca from Vallarta, or take a pleasant bus ride. For a little more adventure and a different experience, continue on highway 200 past Boca to the town of El Tuito, a drive of about forty-five minutes. Tuito as it is known, is the seat of the municipality of Cabo Corrientes, and is ranch and cowboy country. You will see movie set stuff here, and some historic buildings around the plaza that go back beyond the Spanish occupation of Mexico. El Tuito is also the gateway to some fabulous beaches that have not yet been overrun with tourists. The kind of places that you dream about and did not think you would find. To get to these beaches you have to drive about an hour from Tuito on a partially surfaced road to an area known as Mayto. 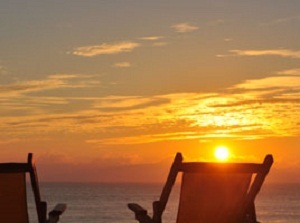 Once you see the beaches, you will be happy you made the drive. 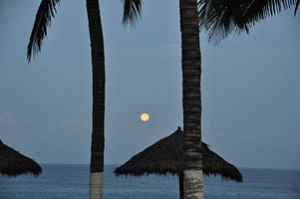 This trip can be a long day if you return to Puerto Vallarta, or you have a choice of three or four lodgings. Don’t expect the Four Seasons, but there are a couple of places that will surprise you. Mayto, Mayto beach, Tehuamixtle, and Villa del Mar are the places you want to do your searches. 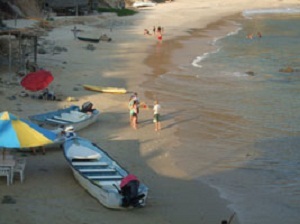 Tehuamixtle is a sleepy little fishing village with a nice beach and three casual restaurants, shoes optional. This is where the boaters head to; it is the only protected anchorage between Vallarta and the bay of Chamela farther south. Most, who discover this area, start thinking about a return visit before they leave. It is that kind of place. November is the month a lot of folks start heading to Mexico. Or, seriously plan their trips for the New Year. This area south of Vallarta is one you should put on your list to visit.